The properties of a parameterized form of generalized simulated annealing for function minimization are investigated by studying the properties of repeated minimizations from random starting points. This leads to the comparison of distributions of function values and of numbers of function evaluations. Parameter values which yield searches repeatedly terminating close to the global minimum may require unacceptably many function evaluations. 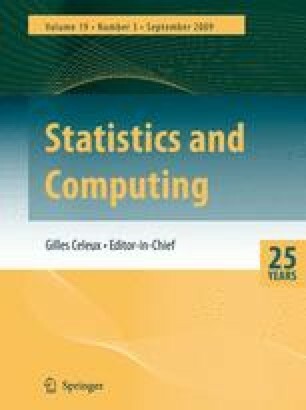 If computational resources are a constraint, the total number of function evaluations may be limited. A sensible strategy is then to restart at a random point any search which terminates, until the total allowable number of function evaluations has been exhausted. The response is now the minimum of the function values obtained. This strategy yields a surprisingly stable solution for the parameter values of the simulated annealing algorithm. The algorithm can be further improved by segmentation in which each search is limited to a maximum number of evaluations, perhaps no more than a fifth of the total available. The main tool for interpreting the distributions of function values is the boxplot. The application is to the optimum design of experiments.